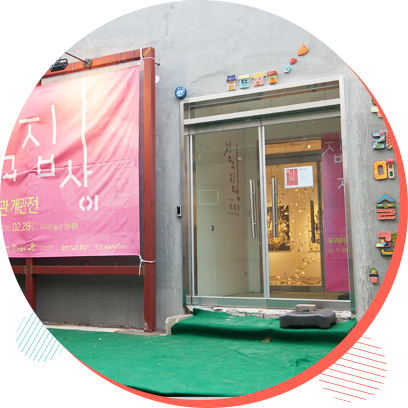 Woori Art Museum explores Manseok area’s history and it’s cultural environment by finding artistic ablility of local people. 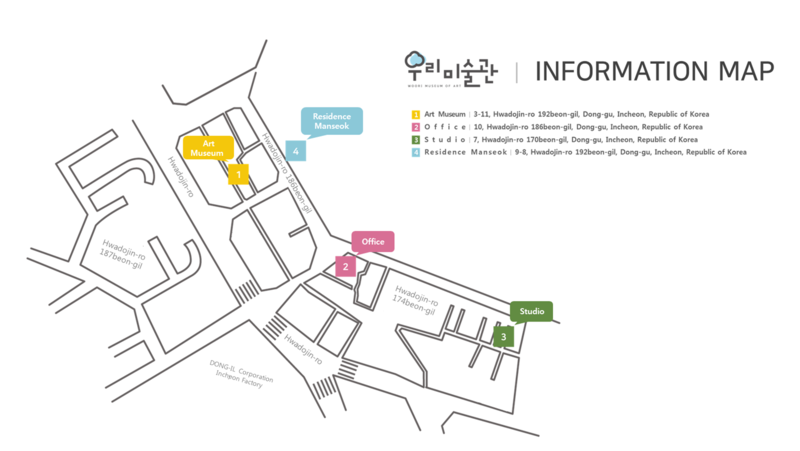 Woori Art Museum has the exhibition space for artist and local peole. Not only exhibit invited artist’s art work, but we show local participatants art work at the end of Woori Art Museum’s program. 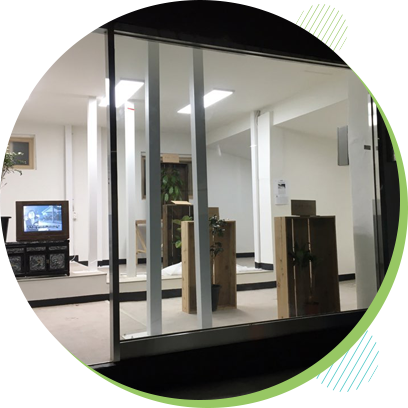 Our workshop space has designed to meet the neighbors around the area by opening it’s door to anyone who interested in Woori Art Museum’s projects and residency aritists’ work. 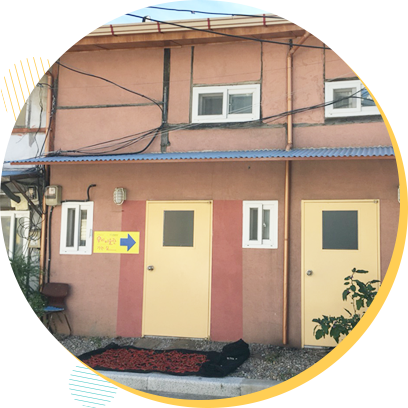 Got-bang is the living space for artists inresidency where could meet the colonial life of factory works back in 1930’s. 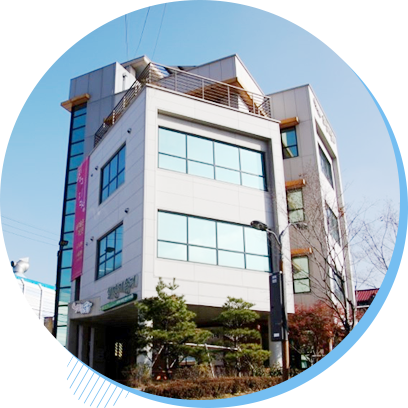 Copyright(c) 2016 우리미술관. All rights reserved.